Interested in joining our team or learning more about real estate? We are always on the lookout for talent! Ask us today. Steven Chicoine, a native of Maine, is a top producing agent of Keller Williams Realty and serves as team leader for his Mega Agent Office. 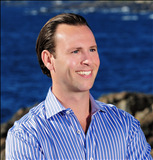 Since obtaining his real estate license in 2006, Steven has maintained his position as a dominant agent in Maine's real estate market having sold over $200,000,000 in volume and over 800 properties. He has been recognized many times by Keller Williams Realty as a top producer and was named to the class of 2012, "30 Under 30" by REALTOR Magazine as a young practitioner making a mark in real estate, business management, leadership, and community service. Steven's drive for excellence and the fulfillment of customer goals lead him to opening his own team office in the fall of 2014. Having a team gives him the ability to help more people and ensures that it will be a smooth and enjoyable process for his clients. Steven is passionate about community growth and engagement, volunteering time by speaking to local high school students as well as volunteering at Camp Sunshine; a camp that provides respite, support, joy and hope to children with life-threatening illnesses and their immediate families from around the world through the various stages of their journeys. Being involved within the community, Steven meets with local business professionals that are sincerely committed to helping one another through networking, fostering the idea that a thriving community is beneficial to everyone. Steven's background and first-hand knowledge of the real estate market, construction, the mortgage industry, and managing investment properties helps him advise his clients to make the best decisions possible. Steven Chicoine started his career in Central/Mid Coast, Maine in 2006. In 2009, he moved to a top Portland Real Estate Agency where he was later recognized as the #1 agent within the company in 2011. Steven saw an opportunity to expand on his career, and joined Maine's top Real Estate company, Keller Williams Realty in 2012 to establish the Steven Chicoine Real Estate Team. Steven loves racing cars, running, boating, kayaking and traveling around the lakes region, the mountains, and along the coast of Maine. He enjoys meeting new people from all parts of the world and hopes to have the opportunity to meet you.